The next litter started coming later Friday night and finished early Saturday morning. Our sow Willy (the lumbering bear sow) kicked in 11 more piglets with her litter. In less than 48 hours, we had twenty live births. All are thriving. For Willy, this is her third litter in the past 11 months. 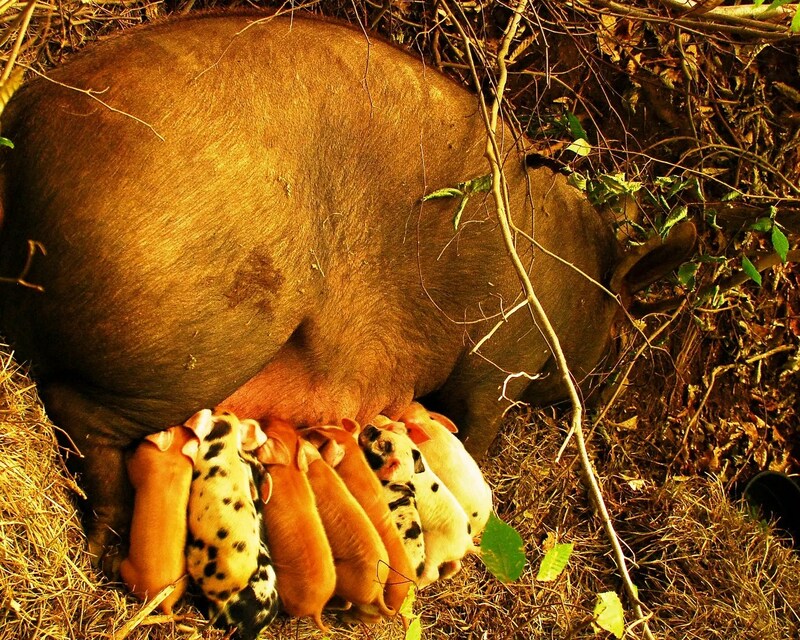 She has given birth to 33 piglets, each of which has thrived. Perhaps it’s beginner’s luck, perhaps it’s due to the fact that these pigs have not, and will not, ever see a barn/cage/feedlot etc. Perhaps it’s a combination of luck and the big dose of hard work we put into maintaining a healthy environment for our animals. Whatever the reason, our first four litters included 42 live births, no mortalities or still births. 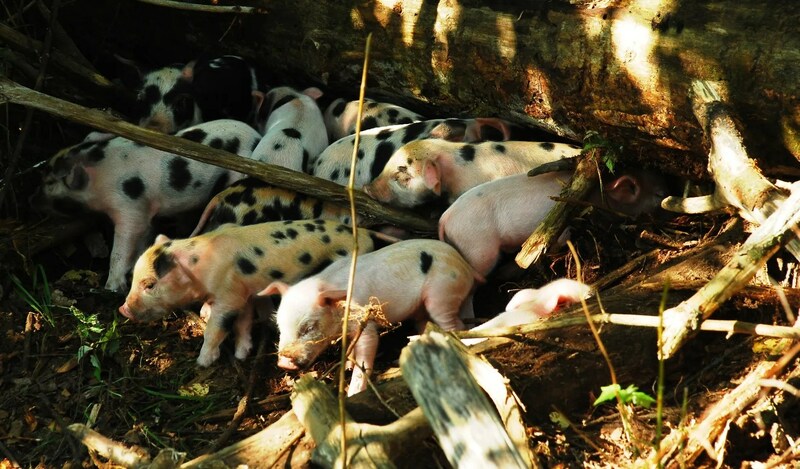 When we started raising pigs, we raised piglets purchased from a neighboring farm. However, during the course of learning how to be ‘pig farmers,’ we graduated to raising piglets from our own sows. To our delight, all 42 piglets thrived that first year. We look forward to continued success. This entry was posted in Community Supported Agriculture and tagged ethically raised animals. Bookmark the permalink.